Welcome to the 4Soils Summer Road Trip Link Up! We can’t wait to see what great summer inspiration you have to share. Last week there were great posts shared from Momma Lew, A Life in Balance, Mommy Entourage, and Yoke. Stay tuned to the 4Soils blog all summer long for great content from the best bloggers around: YOU! As you travel and explore this summer with your families, don’t forget to take along Sproutville, available from the App Store! Sproutville, the Bible Playground, is the perfect wholesome app for your children. This week we are excited to announce some great new content including new chapters in the story of Moses and new verse songs from our friends at Awana. On Thursday, join us on our Facebook page to chat about singing with your children! We will be posting questions beginning at 9 a.m.! It is officially summer! 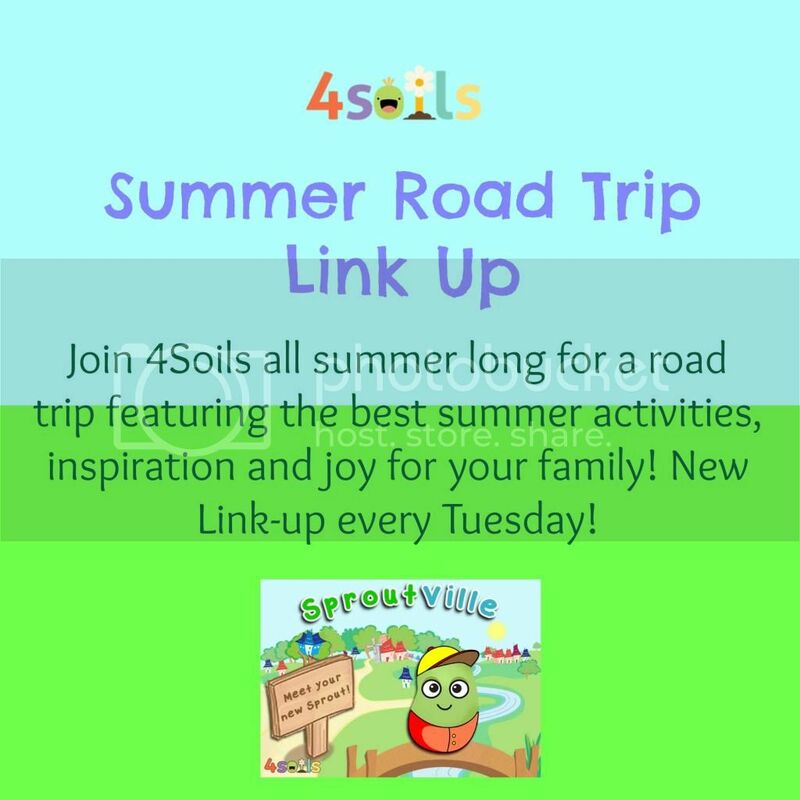 Join 4soils every Tuesday, all summer long, for a Link Up featuring some of the best in summer inspiration, activities and joy for families! Stop by every Tuesday and share your most faithful stories, recipes, activities and inspirational wisdom for the long, hot summer. We can’t wait to read and share all the amazing links! Happy Summer. After you share your link, share the love and read some of the other posts! And if you are looking for the perfect Bible App to keep your kiddos busy in the car, don’t forgot to download Sproutville, the Bible Playground, free in the App Store!